Join our vision clinic for a special Mom’s Weekend sale event! 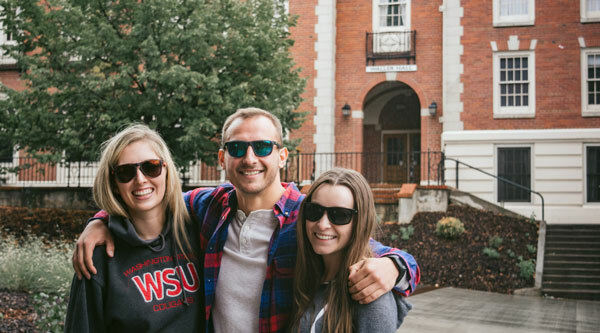 Students get 25 percent off any frames or sunglasses in stock. Friday, April 6 from 9:00 a.m. to 5:00 p.m.
Saturday, April 7th from 10:00 a.m. to 2:00 p.m.
Visit us in the Washington building to try on the latest spring styles, enjoy snacks, and enter a drawing for $100 off your purchase! We carry a large selection of designer frames and sunglasses including Ray-Ban, TOM FORD, TOMS, GUESS, Nike, Longchamp, and more. For questions about the sale or our vision care services, contact the vision clinic.